We believe in the uniqueness, dignity and potential of every life. The Oregon State KofC Charities, Inc. is the 501(c)(3) charitable arm of the Knights of Columbus of Oregon. We strive to change the lives and save the lives of those living in our communities. We accomplish this through our many statewide charitable programs. We receive donations from our members, private donors, businesses and other benefactors to help fund these programs. Thank you for helping us help others. support us! Check out the new Green Sheet! Welcome and thank you for taking the time to visit and explore our new “Oregon State KofC Charities, Inc.” website. Please take the time to look around and read up on the various statewide charitable programs supported by our organization. The “Oregon State KofC Charities, Inc.” is the charitable arm of the 9,300 Knights of Columbus serving in the great state of Oregon. We work with our brother Knights to uphold the founding principles of charity, unity, fraternity and patriotism. We answer the call to those in need within our state and our local communities. The list below highlights some but not all of the programs that we have sponsored. Through our service to others we offer time, talent and funding to assist and honor the dignity and potential of individuals. We work hard to change lives and save lives every day in our Oregon communities. As Knights, we are united in our faith and service. Please tour our new website. Perhaps you will find a program that speaks to you and calls for your involvement. 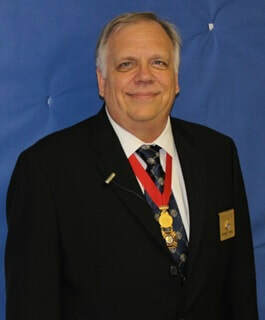 President, Oregon State KofC Charites, Inc.